Marienette Ngambou Miss Cameroon USA contestant dies from cervical cancer. Marienette Ngambou 22 years old, resided in Silver Spring, Maryland with her mother until her death 3 weeks ago. She hails from Bali in Cameroon, beautiful, brave, courageous and very smart, she had battled a rare form of Ovarian Cancer for a whole year. She was diagnosed with Cancer right after graduation, she finally transitioned to eternity, leaving her fellow contestants, family, friends in total shock. Like every young girl, she had dreams, she had aspirations and she worked really hard. Her message was simple but very strong as she told the Founder of the Pageant Lady Kate ” I entered this Pageant because it gives me a huge platform to share my story, share my message about cancer awareness especially among the youth” Well the very courageous Marienette was present at the Workshop on Public Speaking to receive some training on how to Speak in Public and how to become a great advocate. Today we want to share with you her message, she spoke brilliantly and eloquently at the Workshop. Please watch her video and share with your friends and family. It is very powerful and we strongly believe that God did send us an Angel and that Angel is Marienette Ngambou. The best honor we can give her is to share this message, Share this video, we know she is already in heaven and dancing with all the Angels. Friends and Family pls lend a hand. 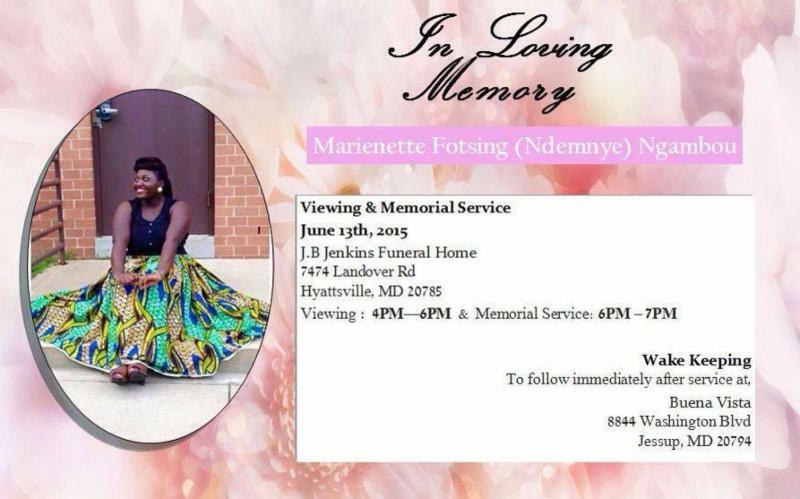 The Funeral of our Fallen Angel and Contestant for Miss Cameroon USA Marienette Ngambou has been set for Saturday June 13 in Maryland. Pls kindly visit this link make a donation. Nothing is too small. Let us support her grieving family. Marienette’s remains will be taken home to Bali in Cameroon for burial. The Reigning Miss Africa USA, the reigning Miss Cameroon USA and Delegates of the 2015 Pageant whom she had met and loved will be in attendance to pay last respects to our fallen Angel. She will also be crowned as Miss Cameroon to honor one of her last wishes. She was so excited about the Pageant and about spreading her message of Cancer Awareness, even in her hospital bed she never stopped talking about it. Her death was totally unexpected and too sudden but that is just how God had planned it. 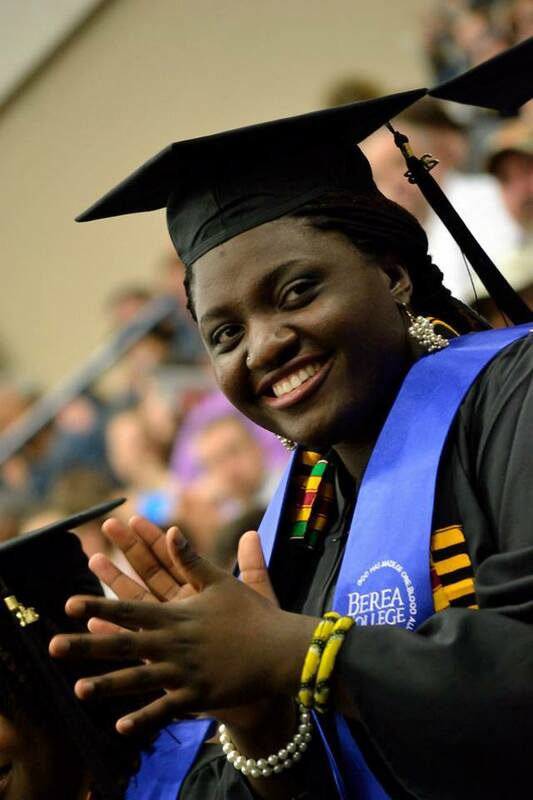 Please Say a Prayer for her family and Pray for Her Gentle Soul To Rest In Peace.